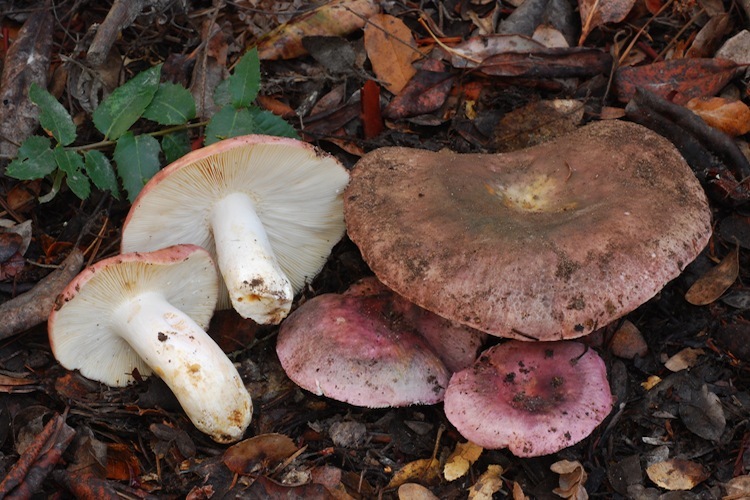 Approximately 24 species in Santa Cruz County. 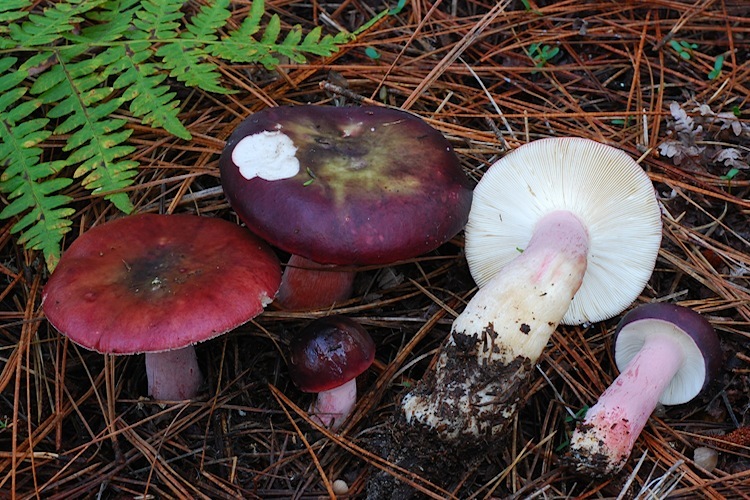 Russula is an iconic genus of fungi, encompassing some of the most familiar and abundant of our woodland mushrooms. 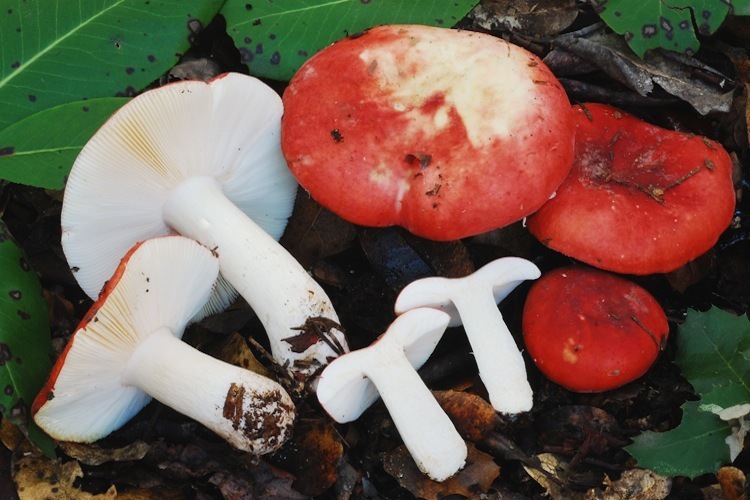 Interestingly, although they are easily recognizable and very familiar as a group, they are often very difficult to identify (partially because many are quite variable, partially due to a lack of critical study). 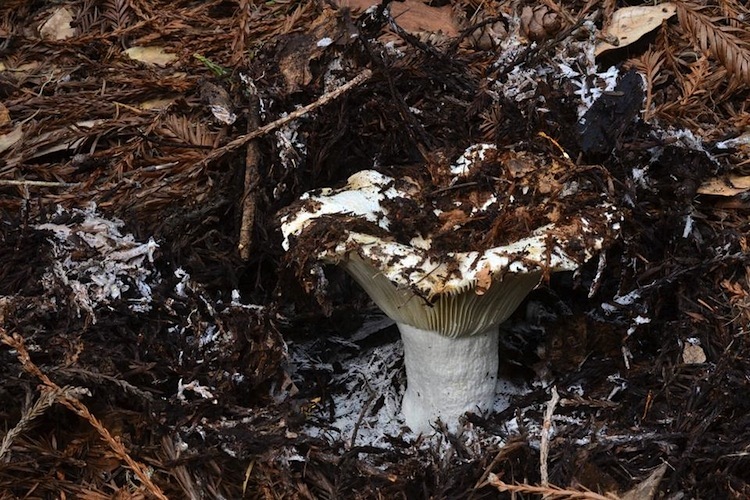 Although the genus is extremely diverse in form, texture, and color, the stature, chalky-granular or hard-brittle texture, and lack of milk or latex when broken sets them distinctly apart from most other mushrooms. The gestalt is easy to master with a little experience. 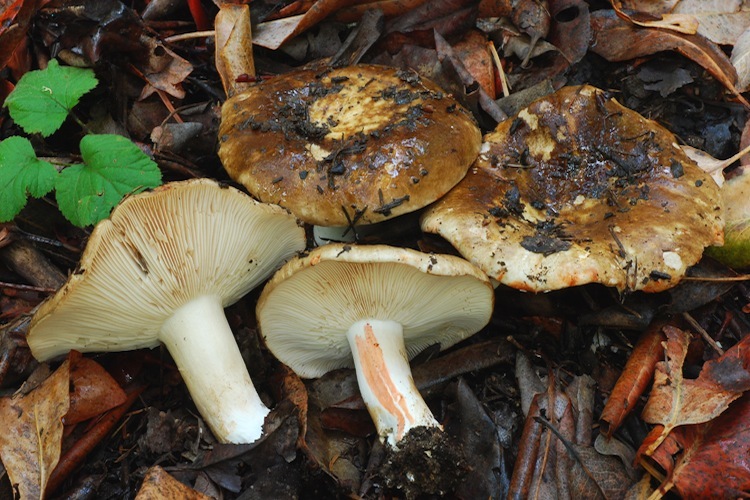 All are mycorrhizal, and the genus is extremely important in temperate forests throughout the world (much less diverse in tropical forests). 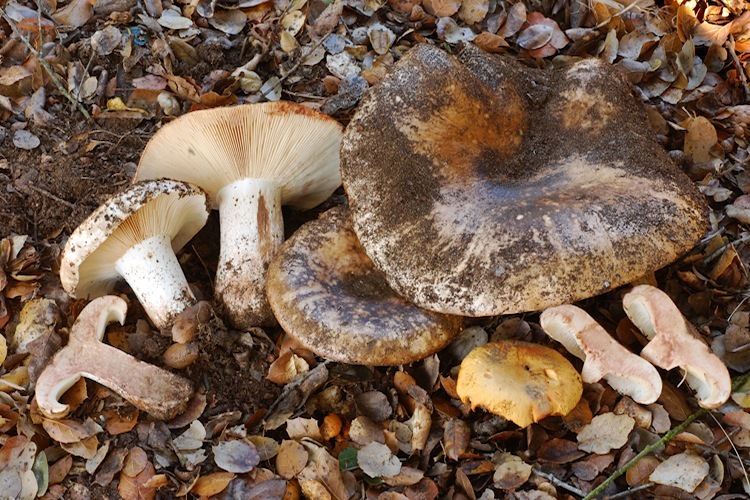 There are many species in California (hundreds? ), many of which remain poorly characterized, undescribed, or both. Identification of species within the genus is complex, subtle, and often fruitless (due to lack of primary literature to compare to). 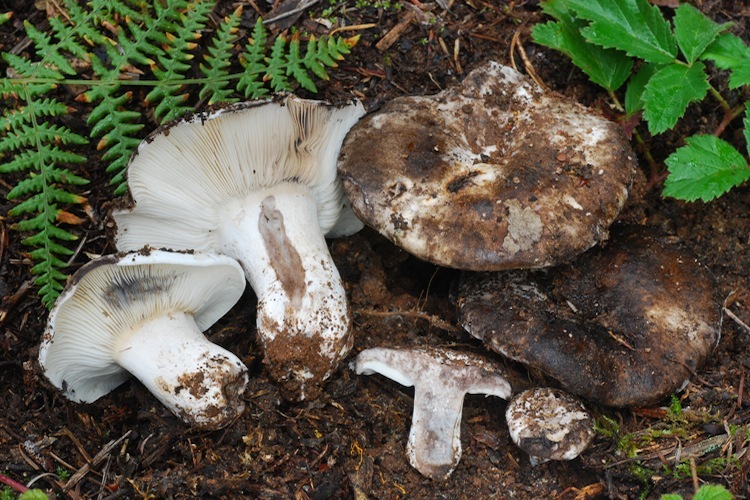 Overall coloration, size and texture of the fruitbody, presence or absence of a sulcate cap margin, taste (peppery or mild? 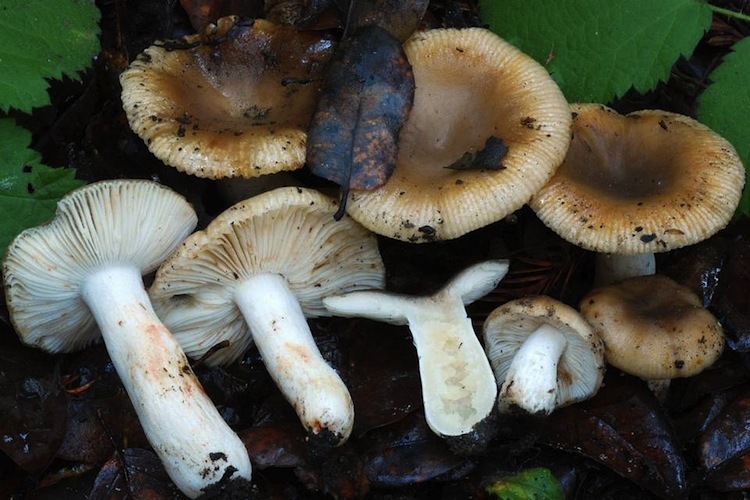 ), presence or absence of short gills, bruising reactions, macrochemical reactions, and details of spore ornamentation (as well as many other microscopic features) are important things to take note of.